The fourth round of high school alpine racing is set for this morning at Alpine Meadows. Led by junior Max Kelly, skiers from North Tahoe are coming off a strong showing last week at Heavenly Mountain Resort where the Lakers boys and girls posted the top two fastest times in their respective slalom races to propel the teams to overall victories. The event at Heavenly marked the second race in a row the Lakers have taken victories in both the boys and girls’ competitions. Kelly, who is undefeated in three races thus far, posted the day’s two fastest runs for a combined time of 48.83 seconds. Teammate Trent Carter was second with a combined time of 49.76, followed by Truckee’s Jason Roth with a combined time of 51.55, North Tahoe’s Norm Kitching with a combined time of 54.20, and Incline’s Otto Albretch, who finished in fifth with a combined time of 54.41. 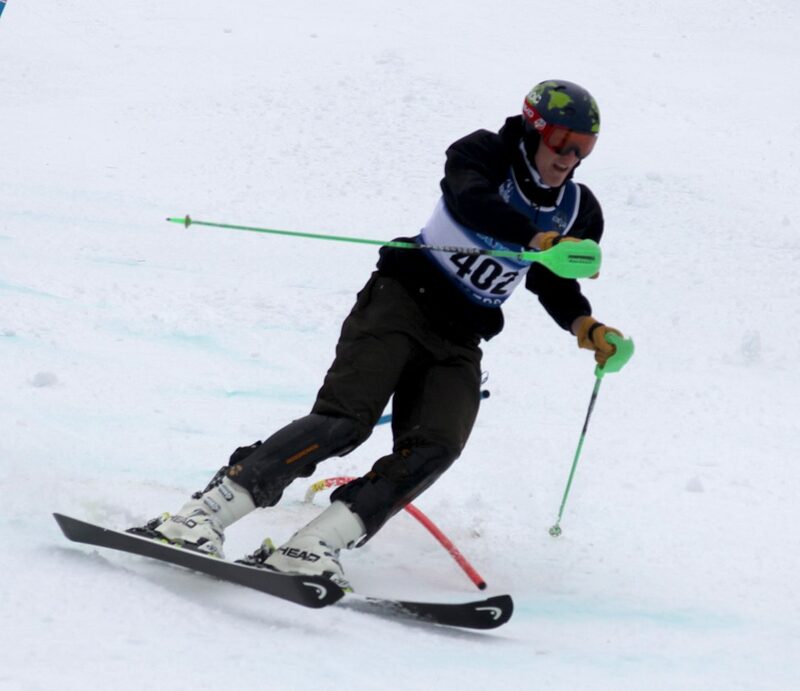 North Tahoe’s Bodie Hudson was the Lakers final scoring skier, finishing in seventh with a combined time of 55.11. The Lakers finished the day with a team score of 214 points to take first place. Douglas was second with 183 points, followed by South Tahoe with 182 points. Truckee was fourth with 159 points. On the girls’ side, North Tahoe’s Kacey Benjaminson picked up her first win of the season, finishing with a combined time of 53.22. Teammate Aliza Neu was next with a combined time of 54.55, followed by Truckee’s Susie Greeno in third with a combined time of 55.38, North Tahoe’s Taylor Brook in fourth with a combined time of 55.46, and Truckee’s Whitney Wingard in fifth with a combined time of 58.36. The Lakers’ Olivia Sproehnle finished in sixth to round out team’s top four skiers, and give North Tahoe 215 points on the day for first place. The Truckee girls were second with 202 points. Jackie Roth was eighth with a combined time of 1:01.05, and Kelly Critz was 10th with a combined time of 1:04.72 to round out the Wolverine’s scoring skiers. The North Tahoe and Truckee girls finished the day with the 10 fastest times. The other skiers in the top 10 were North Tahoe’s Ella Carr (1:00.38) in seventh, and teammate Elan Lindsey (1:02.16) in ninth. The Nevada Interscholastic Activities Association Tahoe Basin League continues Tuesday at 10 a.m. at Alpine Meadows with a round of giant slalom.